Authors: Łukasz Bojarski, Isabelle Chopin, Barbara Cohen, Uyen Do, Lilla Farkas and Romaniţa Iordache. Project management: Isabelle Chopin (MPG), Uyen Do (MPG), Ivette Groenendijk (HEC), and Marcel Zwamborn (HEC). 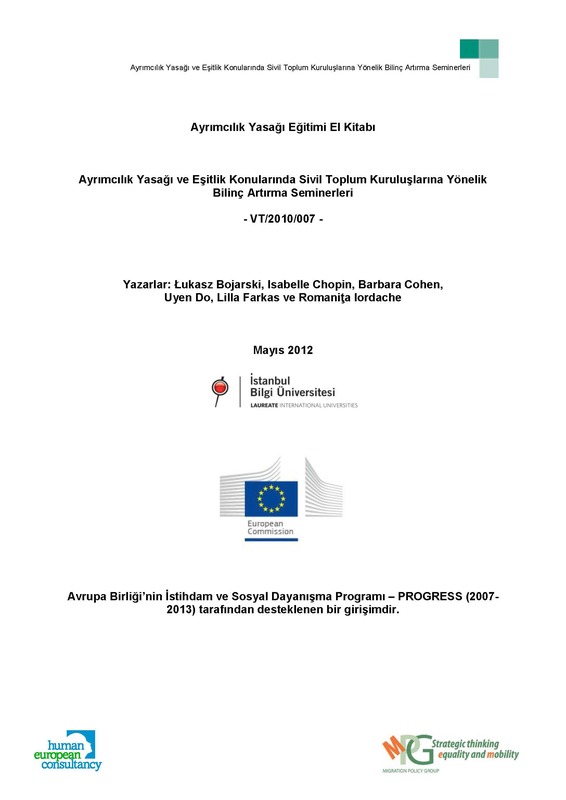 This manual was produced by Human European Consultancy (HEC) in partnership with the Migration Policy Group (MPG). This publication is supported by the European Union’s Programme for Employment and Social Solidarity (PROGRESS) (2007-2013). This manual is produced by Human European Consultancy (HEC) in partnership with the Migration Policy Group (MPG) in the framework of the project Awareness raising in the areas of non-discrimination and equality targeted at civil society organizations that aims to design specific training material and activities for CSOs in order to help strengthen their capacity to deal with non- discrimination and equality. The main purpose of the project is to improve the impact and effectiveness of civil society organizations with regard to the implementation of equality and nondiscrimination legislation and policy by conducting a series of national awareness raising seminars in 32 European countries. Download the Manual in English in PDF. Download the Manual in Turkish in PDF. See the Manual in other European languages.